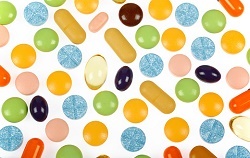 Of all British National Formulary (BNF) drug categories, the prescriptions to rise the most in 2015 were antidepressants, new figures by the Health and Social Care Information Centre (HSCIC) have revealed. The HSCIC’s report, Prescriptions Dispensed in the Community 2005-2015, shows that the number of antidepressant items prescribed and dispensed in England has more than doubled in the past decade. In 2015, there were 61 million antidepressant items prescribed – 31.6 million (107.6%) more than in 2005 and 3.9 million (6.8%) more than in 2014. The Net Ingredient Cost (NIC) of antidepressants has also increased in the past year, rising by £19.7 million (7.4%) to £284.7 million. However, this is £53.8 million (15.9%) lower than in 2005. The implication of this is that it means, in 2015, antidepressants cost the NHS £780,000 per day. 24.8% were dispensed free of charge for the remaining exemption categories, including medical conditions.